First of all, you are not obliged to give a reason for your leave but you are better off doing so. 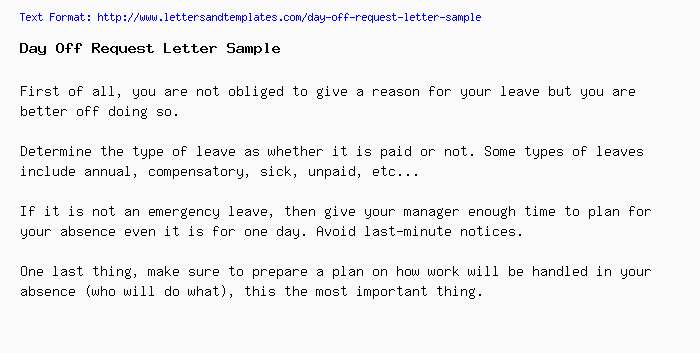 If it is not an emergency leave, then give your manager enough time to plan for your absence even it is for one day. Avoid last-minute notices. One last thing, make sure to prepare a plan on how work will be handled in your absence (who will do what), this the most important thing. Now let us put all this together in a nice well-formatted letter.